Prohibition Agents George Nantz, Jr., and Warren Scoville went to the Walnut Grove Camp to investigate information about liquor being sold along the border of Laurel and Rockcastle Counties, KY. The agents were accompanied by the Sheriff of Laurel County, Deputy Sheriff Sam Morgan and U.S. Marshal Berry Little. As the officers entered the camp, they were met by a number of armed men and women, who ordered them to leave. Realizing that resistance could have disastrous results, the officers properly withdrew. The following day, Agent Nantz procured a Federal search warrant for the camp, and five Federal arrest warrants against the suspects that had made threats against them. Upon arriving back at the camp the agents arrested four suspects, but the fifth, Clarence Maddox, ran off. With agents in pursuit, Maddox ran behind a building, firing shots over his shoulder from a pistol. During the exchange of gunfire, Maddox fired several shots, one of which struck Agent Nantz in the head, killing him instantly. Maddox was arrested by Federal agents, convicted of murder and sentenced to death. Agent Nantz joined the Prohibition Unit on October 3, 1922, with an annual salary of $1,800. 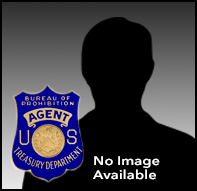 Agent Nantz was born in Owsley County, KY. He was survived by his wife.